While we build experiences that recognize and reward your good choices, we also try to create opportunities in the community and for our employees to do good as well. 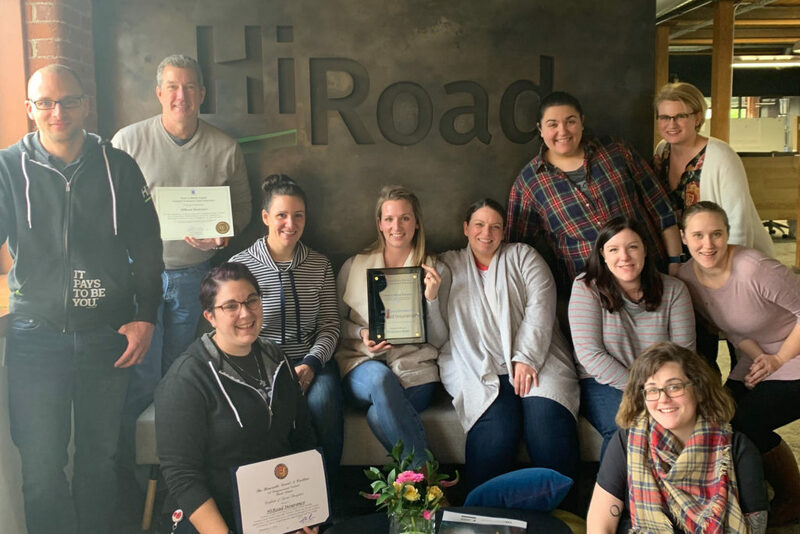 We’ve worked with Social Enterprise Greenhouse on Best for Rhode Island, and The Lady Project to create social good activities, bringing our HiRoaders and employees together. We’ve also built in ongoing activities around the office like making valentines for the kids at Hasbro Children’s hospital. 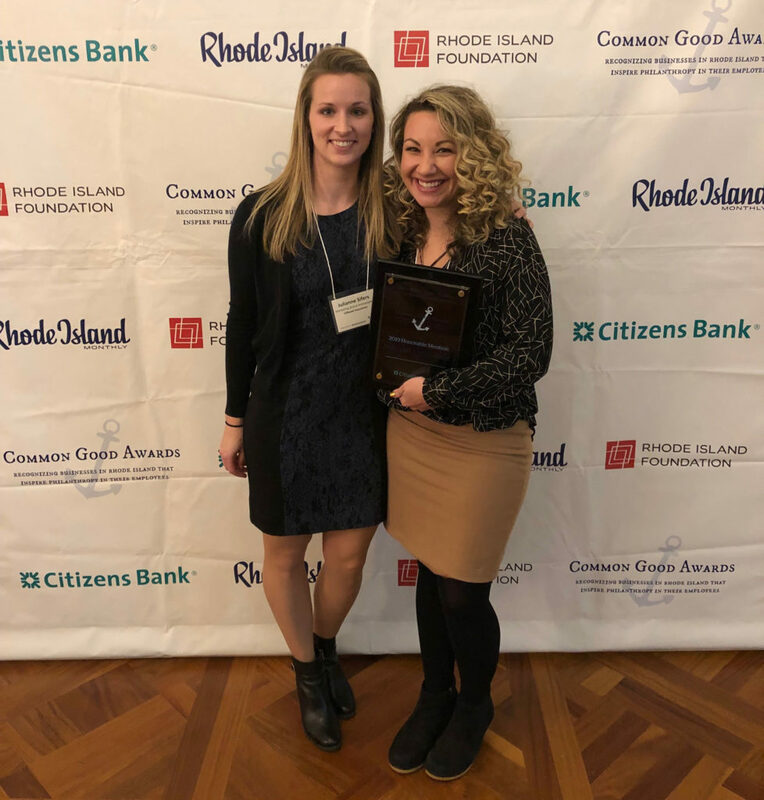 Rhode Island Common Good awards. Taking the HiRoad to Common Good Award recognition. So what are the Common Good awards about? To quote their website, “These local businesses inspire philanthropy in their employees around the state, not by writing a check to a worthy cause, but by encouraging staff to go into the community and help.” The awards recognize and celebrate local businesses for their work in the nonprofit space and employee volunteerism. Companies we’re proud to be associated with. Being a part of like-minded businesses in the Rhode Island community is a plus as well. Inspirational and award-winning companies like Amica, Barton Gilman LLP, Gray Matter Marketing, and Pare Corporation are a crowd we’re proud to be a part of. We look forward to creating more opportunities for good in 2019, and are excited to continue to find ways to bring our community and employees together to help create a better world for all of us!